One of the earlier attempts at a comprehensive treatment of diaspora missiology, this 2012 book is edited by Enoch Wan. Publisher Description: The movement of people spatially at an unprecedented scale is a special social phenomenon of the 21st century. Among these people on the move are those who take up residence away from their place of origin—the “diaspora”—who are the focus of this study. 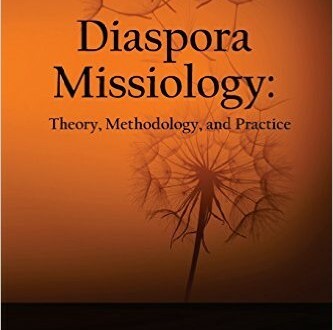 This book is an interdisciplinary study on the 21st century demographic reality that led to the development of “diaspora missiology” as a new missiological paradigm, and the need to practice “diaspora missions” as a new mission strategy. 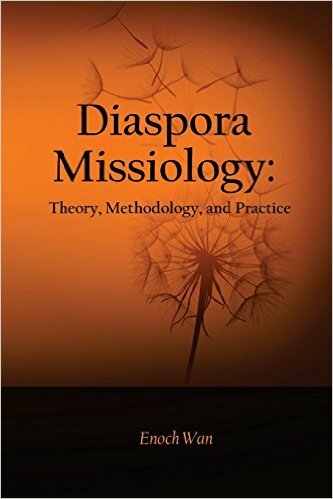 This book is an introductory study on the theory, methodology, and practice of “diaspora missiology.” This book began with Part 1 which includes an introduction of preliminary matters and phenomenological descriptions of global trends of increasing demographic significance of diaspora and the shifting of the Christian church’s center of gravity in the 21st century. In response to these factual data, new theoretical frameworks and methodological considerations were proposed in Parts 2 and 3. Eight case studies were presented to illustrate the necessity and viability of diaspora missiology and diaspora missions in Part 4.